The Electropsychometer, or E-Meter, is a religious artifact with no similarity whatsoever to a “Timewaver Biofeedback Holistic Health machine.” The careless remark you made about the E-Meter goes out of its way to generate prejudice against the Church and the many practicing Scientologists in Great Britain and abroad. I read your story of the missing Mrs. Renata Antczak in a recent Daily Mail. You may know nothing of Scientology, but an attempt to jab at it while reporting on a totally unrelated matter serves only to expose your ignorance and bigoted attitude toward my religion. The Hubbard Electropsychometer, or E-Meter, is a religious artifact with no similarity whatsoever to a “Timewaver Biofeedback Holistic Health machine.” The careless remark you made goes out of its way to attempt to generate prejudice against the Church and the many practicing Scientologists in Great Britain and abroad. It is unfortunate that you chose to do it. Usually people learn through an open-minded approach toward new things rather than a closed-minded and bigoted address to a subject. 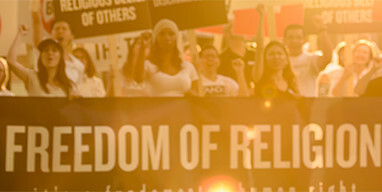 In Scientology we seek to respect the religious beliefs of others—all others. I recommend that you too assume this attitude. It will lead to a more tolerant, enlightened and peaceful society. May I recommend to you and your staff the Charter on Journalistic Ethics in Relation to Respect for Religion or Belief, available to read online or to download.